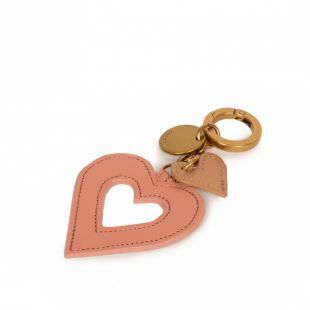 Key rings with character, and a touch of Parisian style. Make a wish! 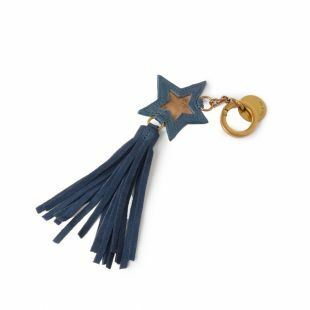 This shooting star makes a stylish statement as a keychain or attached to any bag as a playful accent. 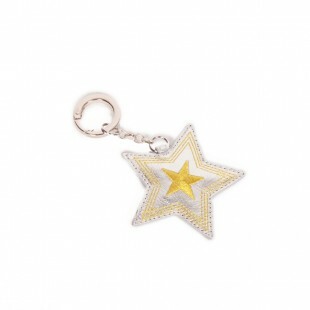 Hang this chic little star on your handbag and it will remind you of your inner radiance each day. 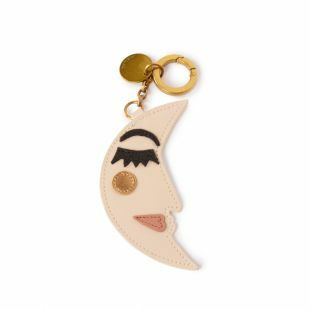 Add a poetic charm to your handbag or keychain with this darling leather moon. We love fashion to the moon and back. Especially when it fits our headphones or lip balm. This mini suede pouch is the perfect stash for headphones and lip balm. We're charmed. 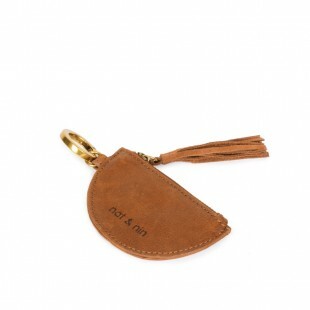 Discover our collection of stylish leather key chains designed in Paris. 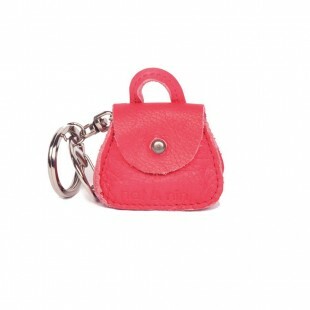 Read more Since 2005, Nat & Nin have been designing handbags, leather accessories and key rings for women, from their atelier in Paris. Nat & Nin uses only the highest quality Italian leather and partners with tanneries which guarantee the origin and traceability of the leather, as well as compliance with labor rights.